Hi, this is my fifth card for the Progressive challenges going on at Crafters Digital Art Center. This Digi is by Whoopsiedaisy Digi Stamps. Remember, you sign up to get the 6 free digi's, and you must use at least one, and the next months digis are sent to you automatically. All the rules are on the CDAC site. Shoe charm from my friend America! 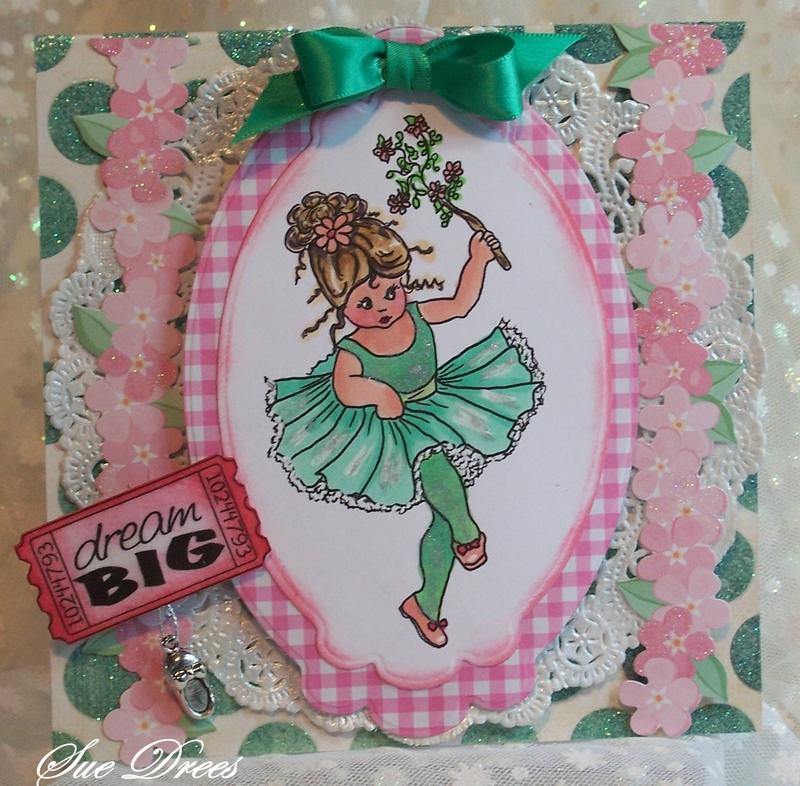 what a sweet and adorable image sue, beautiful card. This is so cute and adorable, pretty image and love your finishing touches. Thanks for the pep talk on the wedding chores. This little lady is so precious, and I just love the choices of colors.